A couple of weeks ago I was intrigued to find that “Letters from Santa” had started following me on Pinterest. As I am slightly obsessed with Christmas I had to investigate further! I was so excited to find a Pinterest account full of amazing Christmas ideas and resources (I highly recommend that you check Letters from Santa out on Pinterest) and when I clicked through to the website I was delighted to find myself on the site of the company we had actually used last year to create letters from Santa for our children. Then, last week, Cheryl from Letters from Santa emailed me and asked would I be interested in hosting a giveaway on our blog – well, I couldn’t refuse as these letters are so cute and really add to the magic of Christmas for little ones! What I particularly love about these gorgeous letters is that they can be personalised – in the past we have added details such as learning to walk, starting school etc to our letters and my kids have been mesmerised by the fact that Santa knew these little details about them! What is Letters from Santa? 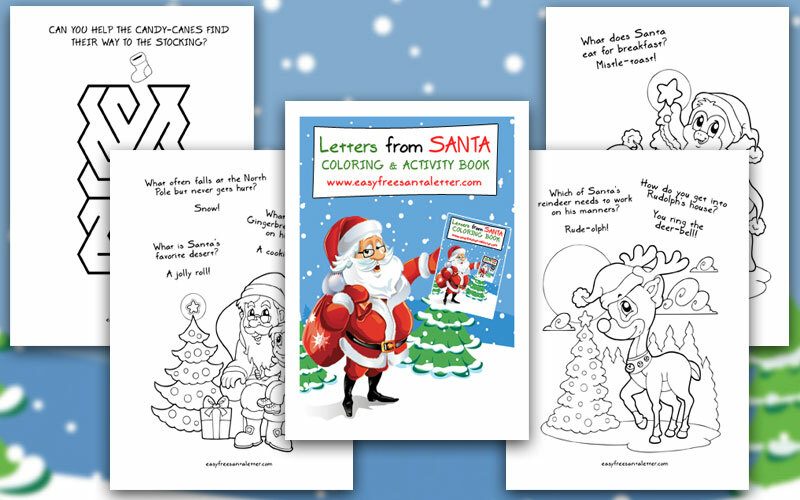 Letters from Santa (www.easyfreesantaletter.com), provides parents a simple way to create beautiful, personalized letters from Santa that can be printed instantly. Available in both a free and low-cost Magical Package version ($3.99).Did I say personalized? That is an understatement! In addition to a multitude of gorgeous Letter designs, there are also many highly personalized messages! The Letters are full of special details only Santa could know, and address a multitude of worries that little ones might have. Santa eases the concerns of children that Santa won’t find them because they will be on vacation at Christmas time, because they have moved that year, or even because they don’t have a chimney. Santa soothes the little hearts of children whose families are living apart, or who have military family members that can’t make it home for Christmas. Santa even addresses specific gift requests, celebrates the little one’s big accomplishments, and commemorates Baby’s First Christmas. There are also messages especially for Christmas Eve, for Stockings, and even for when Santa runs out of time to get one in the mail before Christmas!In addition to these very special Letters from Santa, when you purchase a Magical Letter from Santa, it comes as part of a package which includes 2 envelopes, a lovely personalized printable Official Nice List Certificate (spectacular when printed out on heavy paper), a beautiful printable autographed photo from old St. Nick himself, and a 27-page printable Coloring & Activity Book! But that’s not all – there are also a set of 16 adorable printable Christmas Lunchbox Jokes! 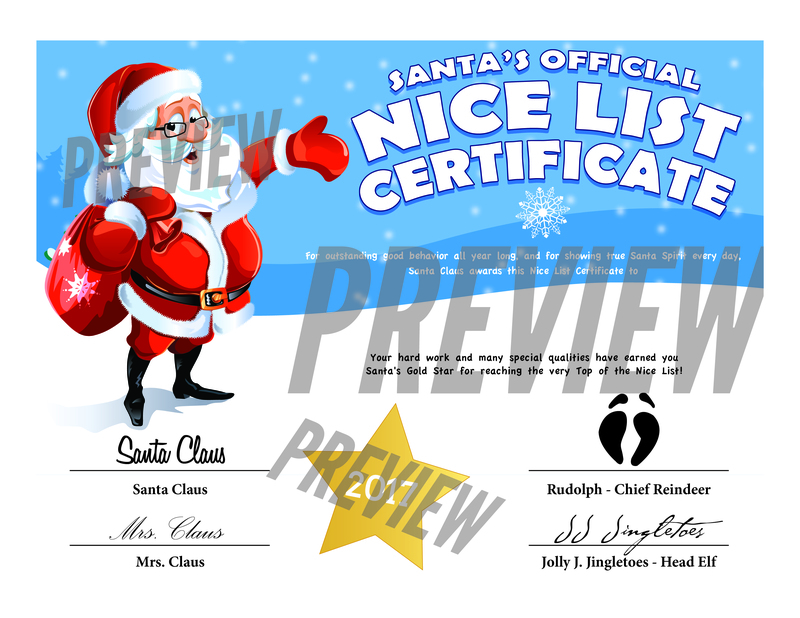 To sweeten the deal, they even have extra freebies on their website…from jokes and entertaining videos, to printable gift tags and labels, to coloring pages, as well as an awesome Free printable Official Letter to Santa! It is perfect for your little people to write or draw their biggest wishes to the big guy himself! Imagine…their eyes will light up brighter than Rudolph’s nose! Letters from Santa also have a Buy One Get One Free offer available at the moment…all you need to do is sign up for their newsletter on the website homepage, and you will get a free coupon code for your second Magical Letter from Santa Package! Once you have received your coupon code via email, all you need to do is enter the code into the coupon code space before you pay for your first Magical Letter from Santa Package! Then, after your first purchase, make your new letter using the same email address, and enter the code into the coupon code space once again, and voila! Your second Magical Letter from Santa Package is provided free of charge! You must enter the BOGO code for the first letter as well as the second. We are so excited to be able to giveaway 8 Magical Letters from Santa Packages! To enter simply complete the Rafflecopter below or on our Facebook page (click on Giveaway tab)! Best of luck with the giveaway and don’t forget to check out http://www.easyfreesantaletter.com for lots of fun and cute Christmas letters, jokes, activities and more! Good luck and have lots of festive fun! Disclosure: in exchange for a fair and honest review I was gifted promotional codes for 2 Magical Letters from Santa Packages for my own children in addition to the 8 sets to giveaway.